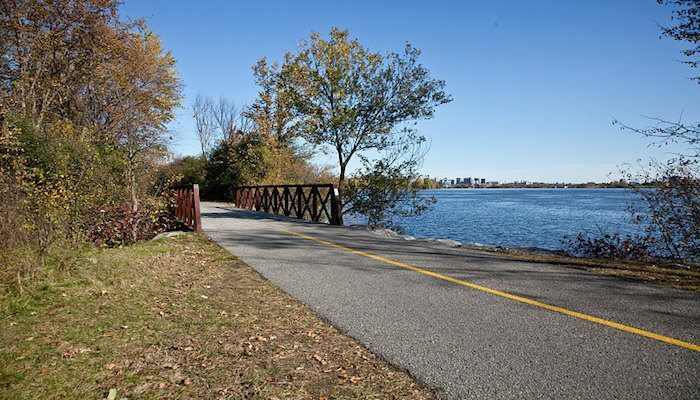 The Ottawa River Pathway is another pleasant waterside run in Ottawa. This trail is a little further removed from the city center and is a little more rugged: gravel surface and somewhat hilly. The trail runs just over 7 miles north, paralleling the Cartier Parkway from Rockliffe Park to Greens Creek. At the 2-mile mark is the Canada Aviation and Space Museum. A good turnaround point is Greens Creek, at 5.3 miles.